A Literary Odyssey: Author Focus: Charles Dickens and Giveaway (A Victorian Celebration). 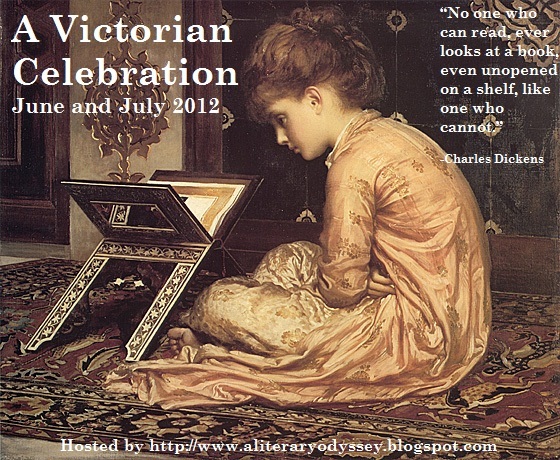 Author Focus: Charles Dickens and Giveaway (A Victorian Celebration). Welcome to this week's Author Focus on Charles Dickens! I have already featured George Eliot and Wilkie Collins. Anyone who has read me for awhile knows that I haven't always been the biggest fan of Dickens. In fact, I used to hate him. Granted, I wasn't really being fair to him or his work, and as I have let myself explore his life and work, I've come around. I still like to fondly refer to Mr. Dickens as my literary arch-nemesis. I don't think he would mind...but I think he would chuckle at my prejudices against some of his work. :) But I'm here to share what I've learned about Mr. Dickens in my explorations of his life-and what a life it was! Charles Dickens was born in 1812 to John and Elizabeth Dickens as the second of eight children. When he was relatively young, Charles was sent to school and his family was doing okay. That changed in 1824 when his father, John, was sent to debtor's prison. His wife and the younger children lived with John in the prison while the older kids found homes with relatives and family friends. At only 12 years old, Charles found employment at Warren's Blacking House to help support his family. He would often work ten or twelve hour days for minimal pay. His experiences working as a child had a lasting impact on his life and writing (Oliver Twist comes to mind). Eventually, John inherited some money from a relative and found his way out of prison. Rather than remove their son from his place of employment right away, Elizabeth Dickens waited. Like his work experiences, this lack of care for his well-being had a significant impact on Charles. You can see evidence of his feelings towards women and mothers in many of his novels. Charles eventually found work in a law office as a clerk. Again, his experiences working in this kind of environment impacted his writing later on in life (Bleak House and Nicholas Nickleby spring to my mind!). Charles eventually turned to a journalism career, working for various magazines for a number of years. It was during his time working for magazines and journals that Charles began to seriously start writing. His first set of periodicals was eventually collected into a book, Sketches by Boz (Boz was a pseudonym). These sketches caught the attention of publishers Chapman and Hall, who hired Dickens to write in accompaniment to a series of illustrations done by Robert Seymour. The result was The Pickwick Papers, Dickens' first novel. In 1836, Charles married Catherine Thomson Hogarth and continued to publish new novels in episodic form. 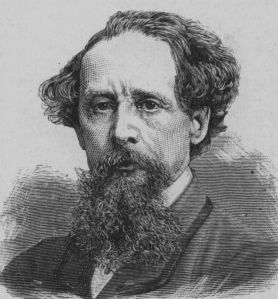 By only releasing one portion of his new novels at a time, Dickens began to master the form of writing. Readers would wait anxiously for the next installment to be published. His fame began to rise with each new publication. As he aged, his novels also began to tackle more difficult themes-namely socioeconomic issues. Dickens was prolific even while he was alive. He was a major voice in the era and befriended many of his contemporaries, including Wilkie Collins. Together, they wrote numerous plays and short stories. It was during one of these co-written plays that Dickens met Ellen Ternan. He fell so in love that he made the decision to leave Catherine for Ellen in 1858. Since divorce was still relatively taboo, Charles and Catherine agreed on a separation, but Charles spent the rest of his life with Ellen. Yet another Victorian writer scandal (that makes us 3 for 3!). It was after this that Dickens began a series of reading and speaking tours. He traveled throughout Europe and the United States on his tours. It was during this time that many of his "major works" were published, including Great Expectations and A Tale of Two Cities. Many critics believe that he entered a serious mode of thinking about his writing and changes he could make in society. It what around this time that he also began some serious philanthropic work in England. 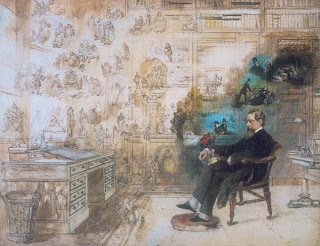 On June 9, 1865, Dickens' life took a turn. He was involved in the Staplehurst Rail Crash. It was a horrific event at the time, and Dickens was in one of the only cars that wasn't overturned. He was on board with Ellen and a few other friends when the train crashed. He spent hours attending to those who were injured or dying until further help came. He even risked going back into the train to rescue the unfinished manuscript of Our Mutual Friend. The crash and the result changed his life. After the crash, he began to be very introspective and never seemed to fully recover to where he was before. His works took a darker turn and his health deteriorated. Charles eventually passed away on June 9, 1870-five years to the day AFTER the rail crash. He was laid to rest, against his wishes, in Poet's Corner at Westminster Abbey. This giveaway is open to anyone! As long as the Book Depository delivers to your country, you can enter (I reserve the right to ship from another company if you live within the U.S.). You MUST be a participant of A Victorian Celebration to enter. The winner will have 48 hours to respond or I will pick a new winner. To enter, comment on this post with your answer to this question: What Dickens character do you think is the most memorable and why? The giveaway will be open until 11:59 PM on Friday July 6, 2012 EST. Exactly! It is so much fun to flip through! The most memorable character in Dickens novel to me is the one I'm reading at present, Oliver Twist. I will probably be finished with this novel today or tomorrow. Oliver is a adorable and endearing boy. I just want to take him home and feed him a good meal and a warm safe place to sleep. He encounters villains and also those that treat him well. I'm very invested in his story and even though he is a character in a book, I worry about him! I love this giveaway! I keep eyeing this book everytime I go into a book store. Like you I've had a love/hate relationship with Dickens, but in recent years it has veered closer to love. There are so many fascinating Dickens characters, Fagin from Oliver Twist, Micawber from David Copperfield, Scrooge, Lady Dedlock from Bleak House, etc. But for me the most memorable is Miss Havisham from Great Expectations. She was so broken and strange. Her entire life was built around a single disappointment and her cruelty ruined the lives of others. I'll never forget Pip's first impression of his ghostly meeting with her. Also, Great Expectations was the first Dickens novel that turned things around for me. I loved it and had never felt that way about one of his books. Miss Havisham is pretty memorable! Agreed! I call my husband a scrooge all the time! The characters which stand out most significantly in my mind are Charles Darney and Sidney Carton, the later of whom sacrificed his life in an act of self-redemption. I'll never forget the power, and the sorrow, I felt when closing A Tale of Two Cities for the first time. My mother and I are taking a class offered by Classical Pursuits in Toronto this July; we're studying Dostoevsky's The Idiot. But, I would have liked very much to have gone to England to see the celebrations for Dickens' 200th birthday. I was so surprised when in a Christian bookstore a few weeks ago, and I chanced upon a Dickensn' devotional. Who knew that he was such a powerful Christian? Not I, but I suppose it makes sense when one looks at books such as A Tale of Two Cities which are all about sacrifice for the good of another. You know, there was so much information about him that I had to pick and choose what to include here! He led such a fascinating life and I can't wait to learn more about him. I picked up a biography on him a few months ago, but I want to finish reading his novels before I dive in! The book looks awesome! - thanks for opportunity to actually own a copy and for the very interesting post. After reading Our Mutual Friend this month I've done a complete about face with my opinion of Dickens and can't wait to read more. But I'm ignoring that one and looking back years for a memorable character it has to be Miss Haversham from Great Expectations. I've never forgotten her - a ghostly, supernatural presence that sent shivers down my spine, obsessive, twisted and cruel and yet she still aroused pity. I think I may have to reread the book. I don't know that Scrooge can ever be unseated as my favorite and most memorable character in Dickens. Sydney Carton is the character I most admire, but Scrooge is the one I will never forget. And I love Scrooge. I haven't met Sydney Carton yet, but I will soon! Oh yay! Thank you!! :) I can't wait to know what you think of A Tale of Two Cities! Wow, that's tough -- he created so many memorable characters. For me, it has to be a tie: Sydney Carton and Miss Havisham. Miss Havisham because she's the most memorable character in the very first Dickens book I ever read -- who could forget the crazy old lady left at the altar who's still wearing her wedding dress? Sydney Carton also gets my vote because he has the best last line in a Dickens novel, one of the best last lines EVER: "It is a far, far, better thing I do, than I have ever done; it is a far, far better rest I go to, than I have ever known." I know that line by heart and I've only actually read A Tale of Two Cities once. And thanks for the amazing giveaway! Man, now I feel guilty for not liking Great Expectations...I'm going to have to reread it...again. I haven't met Sydney yet. I'm saving that title as my last Dickens for my 250 list. Lovely post! Dickens is an author who has fascinated me since I read David Copperfield. I love the way his work was so thoroughly influenced by his life experiences, and there's something about his characters that never fails to impress me. Dickens' most memorable character is, in my opinion, Miss Havisham, from your beloved Great Expectations (sorry, I couldn't resist ;D). There's something so thoroughly tragic about her life, about the way she chose to harden her broken heart instead of letting it heal. By trying to avoid pain, Miss Havisham made sure she'd never be happy again; and the worst part is that she doesn't realize this until her life is almost over. No second chances for Miss Havisham, just a lifetime of regrets. Her character will probably haunt me for the rest of my life. I never really realized how much his life changed and altered him. I totally misjudged him when I was younger. I already own this book and it is FANTASTIC (not only for a Dickens-Freak like me;). I just keep wishing I had lived at the same time as he, so that I would be able to know the real Charles Dickens, the man who imagined all the characters and stories I have always loved so well. From the works I have already read the most memorable character in my opinion is Sydney Carton, mostly because he made me cry my eyes out! No, seriously, he does not even hope for his own happiness anymore because he knows that he has wasted too many chances and that he would only bring misery to the woman he loves, but nonetheless he is happy to sacrifice everything for her. So yeah, definitely literary crush #1! I can't believe how many people have mentioned Sydney! Now I really need to make an effort to get to it! And I love this book so much. It is so much fun to flip through! Wow! You need to get on that! ;) A lot of people love Great Expectations, but I need to give it another try...a ninth grade English teacher ruined it for me. The overall most memorable Dickens character is Scrooge as the word itself ("you're a scrooge") has entered our vocabulary. The most quirky character is certainly Miss Havisham. The most upstanding character is Sidney Carton. But I think my favorite character is David Copperfield who IS Dickens in many, many ways. Also, Dickens early life is reflected not only in Oliver Twist, but in David Copperfield where poor David has to go to work pasting on labels (Dickens actual job) in the blacking factory and in Little Dorrit where Dickens shows what life in Marshalsea Prison (where his father was incarcerated for debt) was like. I just love David Copperfield. No other book has come close this year! I actually just got a copy of Little Dorrit in the mail on Saturday! I do want to get through Dickens' novels in the future, and that one looks incredibly intriguing! I've only read one Duickens novel and that is Great Expectations so my answer would be Miss Havisham! Also if you people know the Thursday Next books, she is particularly interesting there. I have seen enough Christmas Carol adaptations to also say Scrooge is classic. I have Bleak House and Nicholas Nickelby, but I think of my Dickens goals is also David Copperfield. I use to pass by the Old Curiosity Shop in London; it is still there today. The BBC did a documentary about Mrs Dickens, Charles's Wife, around Christmas last year. It was really interesting and a completely alternative view to what many people see Dickens. If you get the chance, it's an interesting doc. Thanks for the rec on the documentary! I would love to see it! David Copperfield is SO GOOD. I wanted to hug it all the time while I was reading it. :) I'm trying to work my way through Nicholas Nickleby right now (I set it aside for a couple months and I'm having a hard time getting back into it). "What Dickens character do you think is the most memorable and why?" b/c our movies have brought this tale to the fore every Christmas and while we're reminded, millions are introduced to Scrooge..
plus the lessons he learns are valuable to each of us as our world hurtles on consumed by consumerism and the penchant for more..!